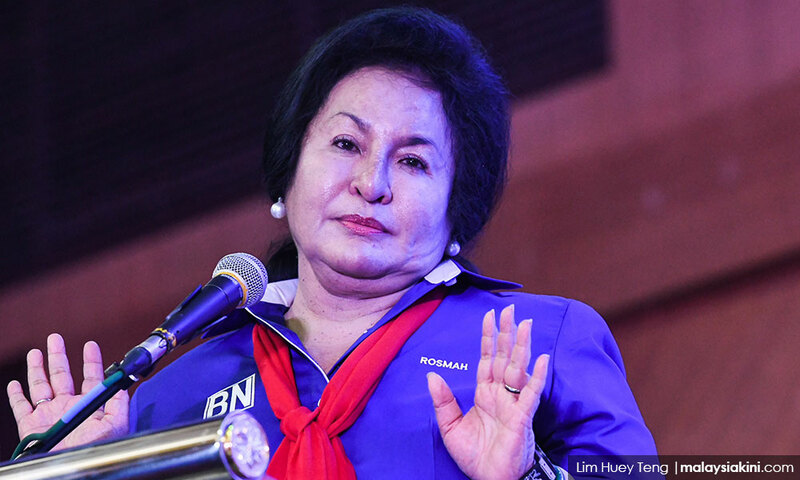 Rosmah Mansor, the wife of former premier Najib Abdul Razak, is set to face up to 20 criminal charges soon – most of them related to money laundering, reported the New Straits Times. According to the report, she will be charged “very soon” as investigators have completed their probe, which was reopened after BN lost in the 14th general election. “According to those privy to the ongoing process to bring the 66-year-old to court, Rosmah […] could be hit with up to 20 criminal charges, mostly linked to alleged money laundering,” the report said. One charge in particular concerned “hormone-based anti-ageing products from the US worth just over RM1 million”, which MACC believes were purchased using SRC International funds. “According to sources, the cheque payment of more than RM1 million was made out to a ‘Datuk’ (titled) doctor in Feb 2015 for the purchase of two sets of medication worth in excess of RM500,000 each,” the report added. NST said the doctor in question has since resigned from his post as the vice-president of a medical society linked to his expertise. Rosmah was also alleged to have purchased a “100 percent plant-based health food to stimulate the human body to maintain youth, vigour and vitality, supposedly with anti-ageing properties”. However, the report did not detail how much money was used for this second product. On June 5, MACC had questioned Rosmah for their probe into SRC International Sdn Bhd. SRC International was a former subsidiary of 1MDB. In 2012, it was placed under the Finance Ministry. Malaysiakini had reported on May 30 that SRC International was insolvent and that the Finance Ministry has been serving the RM4 billion loan the company had taken from the Retirement Fund Incorporated.